Michelle established Catalyst Consulting Services and has been responsible for increasing the impact and best practices of nonprofit organizations she serves and has raised over $60 million for the Tampa Bay community through her professional and personal philanthropic efforts. Michelle Turman, MA, CFRE is the CEO of Catalyst Consulting Services whose mission is to facilitate positive change in the areas of executive searches, organizational management, and fundraising. 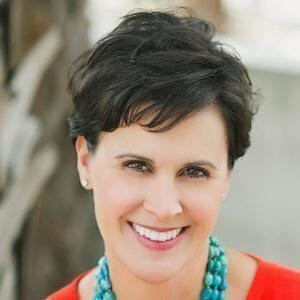 With over twenty-four years of nonprofit experience, Michelle established Catalyst Consulting Services and has been responsible for increasing the impact and best practices of nonprofit organizations she serves and has raised over $60 million for the Tampa Bay community through her professional and personal philanthropic efforts. In 2018, Turman was recognized as Small Business Leader of the Year by the Greater Tampa Bay Chamber of Commerce for her leadership in the nonprofit sector. In addition to facilitating change nationally and in the Tampa Bay area, Michelle’s community service has included leadership roles on the boards of the Arts Council of Hillsborough County, Suncoast Chapter of the Association of Fundraising Professionals, Charitable Gift Planners of Tampa Bay, Donate Life America, Leadership Pinellas, the South Tampa Y and University of South Florida’s Women in Leadership & Philanthropy Mentoring, the Women’s Exchange (WE), and Working Women of Tampa Bay Foundation. Turman is author of the best-selling book, Jumping the Queue – Achieving Great Things Before You Are Ready which focuses on how young professionals can seize personal and professional opportunities, achieve great things, and get what they want and deserve. Turman is an educational trainer for the Nonprofit Leadership Center of Tampa Bay and at the Edyth Bush Institute for Philanthropy & Nonprofit Leadership at Rollins College. She is a Certified Fund Raising Executive and specializes in professional education in the areas of change management, capital campaigns, volunteer management, board governance, and fund development. Turman has been featured in American Express: Open Forum, Arizona Business Magazine, Inc.com, Inc. Asian, New York Daily News, Investors Business Daily, Nerdy Girls Express, Young Upstarts, and Rural Messenger as an expert and author for her focus on change management in the workforce. In 2015, Turman was recognized by Tampa Bay Metro Magazine as one of Tampa Bay’s Distinguished Women in Business and the Face of Nonprofit Change in 2016 and been nominated by Tampa Bay Business Journal as Business Woman of the Year in 2007, 2016 and 2017.